News Archives - Northstar Pulp & Paper Company, Inc.
SPRINGFIELD — Senator Eric P. Lesser toured Northstar Pulp and Paper Company in Springfield Friday to view the company’s new equipment purchased with a grant from the Massachusetts Department of Environmental Protection (DEP). Lesser also discussed with company leadership and employees how the equipment will support the company’s work and how further public-private partnerships can contribute to the state’s business environment. 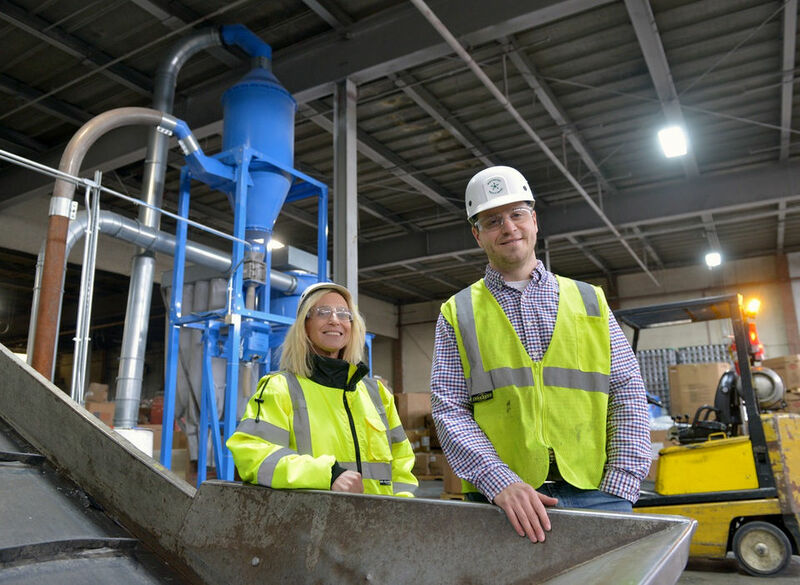 In July 2016, the Massachusetts DEP awarded Northstar a grant of up to $90,000 under the Commonwealth’s Recycling Business Development Grant (RBDG) program to help companies expand their recycling operations. Northstar used the funds to purchase Sterling Elutriators and Bunting Magnet Systems, which upgraded two formerly existing plastic manufacturing lines to process post-consumer material. The new equipment grinds and cleans old plastic products to prepare for recycling. Lesser serves as the Senate Chairman of the Joint Committee on Economic Development and Emerging Technologies, which oversees industrial development and environmental technologies, among many other issues. “Northstar is the green economy in action, and a leader in innovation here in Western Mass. I’m glad I was able to see some of the great work they are doing — including the impressive new equipment they have, thanks to a Recycling Business Development Grant. 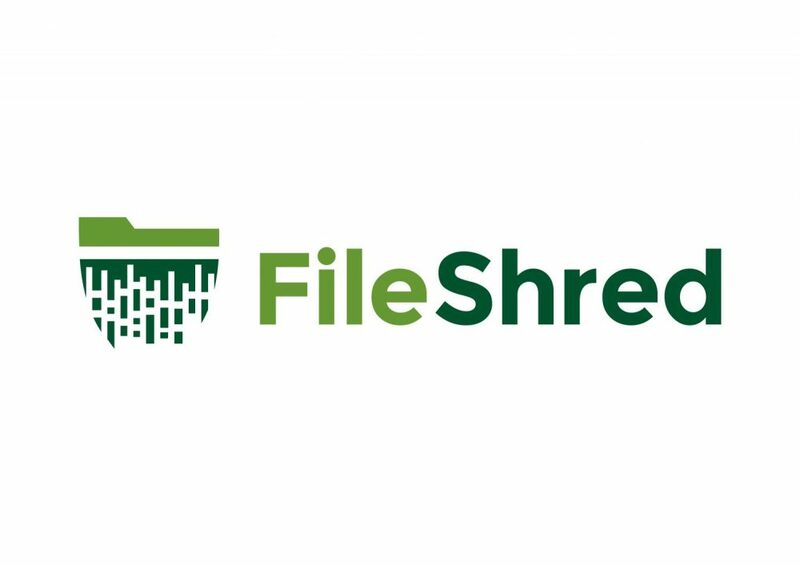 This grant allowed them to open a new recycling line, expand their business, and help create new jobs in Springfield, all while promoting recycling and environmental sustainability,” said Senator Lesser. 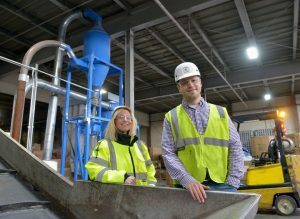 “I enjoyed showing Senator Lesser the progress that we have made recycling post-consumer plastics with the help of the Massachusetts Business Development Grant. I believe that we had some fruitful discussions of how we can use these public-private partnerships to improve the recycling markets of Massachusetts. I appreciate the level of support we have received from Senator Lesser, the State of Massachusetts and the Mass DEP, which has allowed us to expand our ability to convert post-consumer rigid plastics into valuable commodities,” said Aaron Goodman, Northstar’s Chief Operating Officer. 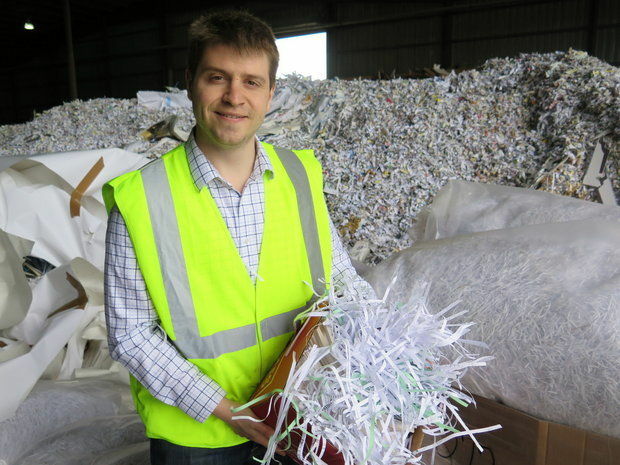 Northstar is a paper, plastic and metal recycling company looking to improve their capacity to produce quality post-consumer plastic regrinds. Using the grant funds, Northstar will purchase and install three separate methods for reducing ferrous contamination within their finished product. The company intends to target plastic pallets, which are generally hard to manage because they are often contaminated with dirt and fiber, and frequently have metal or fiberglass reinforcement bars.